Thus screamed headlines around the world over the past couple of days. Last week Agnetha was interviewed for German weekend newspaper Welt am Sonntag. Once published, the sensational claims of the story were soon translated to English by Sky News UK. That report was then picked up almost immediately by media outlets around the world, though they all reported the same story, almost word for word. 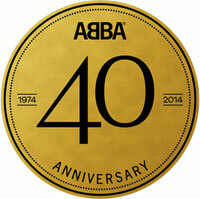 Agnetha only refers to “plans to do something to mark this anniversary”. This could mean almost anything. As we know there is The Official Photo Book published in April. 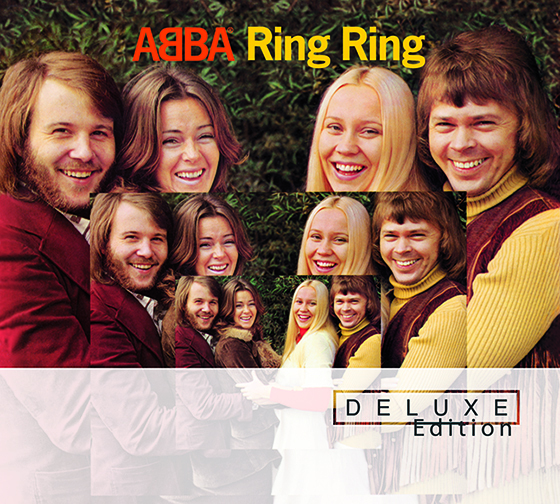 There may be another Pop Talk at ABBA The Museum, like the recent event commemorating the Ring Ring Deluxe Edition. There could be a deluxe edition of the Waterloo album or some other musical re-releases. Aside from the book I don’t know of any other specific plans, but these are all are likely “plans to do something to mark this anniversary”. 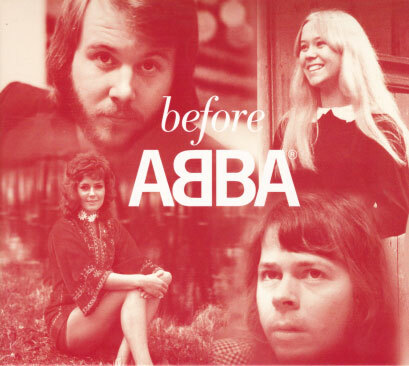 It does not necessarily mean that those plans will actively involve former ABBA members. It’s also worth noting that the quotes have been translated from English to German, then back to English. The Eurovision anniversary also marks the 15th anniversary of the premiere of the Mamma Mia! musical in London. No doubt there will be some form of celebration there. With that, and now ABBA The Museum in Stockholm being an obvious base for celebrations, there is the potential to split ABBA members’ attendance. The four former members of ABBA have avoided all possible reunion opportunities, from alleged multi-million dollar offers to record and perform, to Mamma Mia! openings and anniversaries, to the Eurovision 50th anniversary gala (which seemed designed solely to engineer an ABBA reunion appearance), to the opening of their very own museum. For the last decade we’ve rarely seen more than two together at any time. 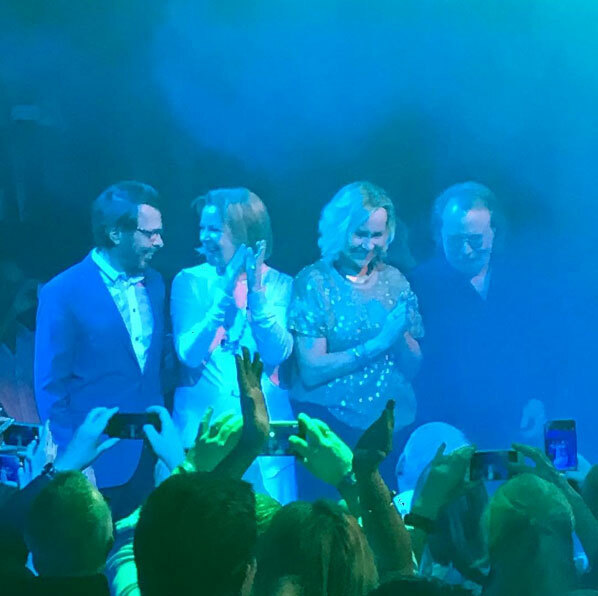 For many years Björn has said at every opportunity that ABBA will not get together, stating “We are the only group of that status that has never been reunited. I think that is cool”. Benny has moved on, playing with BAO (though they do perform the occasional ABBA song), and composing music for films and events. His demeanour when he does attend ABBA events hints that he’d rather be somewhere else. Though Frida has said in the past that she would like to do something with the other three, she has consistently said that her musical life is behind her. At the museum opening she expressed surprise when told by a reporter that she had allegedly said that she would like to reunite ABBA. Agnetha herself said just a few months ago that it’s time to “let ABBA rest”. In May Agnetha deliberately avoided the opening of ABBA The Museum, instead travelling to London to promote her new album, but conveniently latching on to the media interest about the museum. Though there were claims that her itinerary was planned before the museum opening was confirmed (unlikely, as the opening date would have been set many months ahead), there was nothing she did that couldn’t have been postponed a week or two, including the release of the CD itself. And unfortunately for Agnetha, her message in this new interview that a deluxe edition of her album A is out in Germany on November 22nd, has been lost in the hysteria, though it was mentioned towards the end of the original German article.